Hepburn Wind started from humble beginnings with a simple, but powerful idea — that our community could own and operate its own wind farm for the benefit of the entire community. We are eternally grateful for the efforts the Hepburn Renewable Energy Association (now known as SHARE) who, with the help of many, established Hepburn Wind four years ago today. On 18 July 2007, 23 members came together and voted to form the co-operative and vote in our first board. In just four years we have grown to almost 1900 members and are proud of our role in establishing the community renewable energy movement in Australia. We wish to acknowledge all those who have believed in and supported the project over the long journey to get us to this point. developed the most generous benefit sharing program of any wind farm in the country, which will give special benefits to those living closest to the project as well as returning well in excess of $1m to the Hepburn Wind Community Fund over the next 25 years. set a new standard set for community engagement and support for a wind farm — recognised with our recent honour of winning the Victorian Premier’s Sustainability Award for 2011. 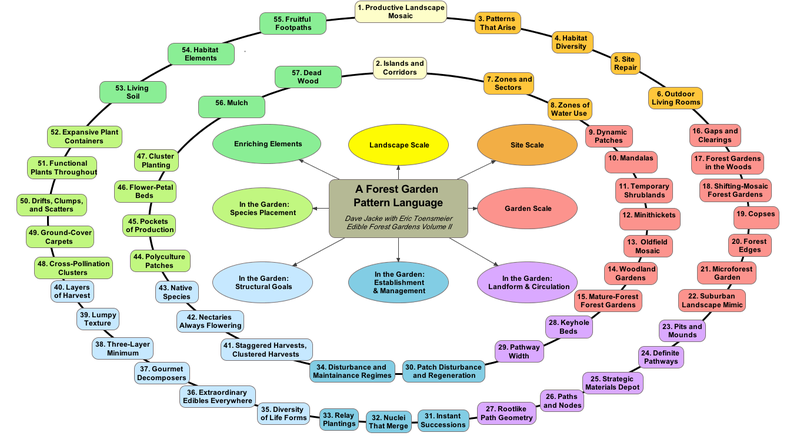 “Permaculture is all about one part of a system trying to help another, so this is our attempt to help replicate that, by sharing permaculture knowledge as freely and as widely as we can. In this section you’ll find a selection of completely free eBook downloads on permaculture and wider environmental topics, including the fantastic Farmers’ Handbook series by Chris Evans and Jakob Jespersen, which provides a complete grounding in key permaculture techniques in a simple, easy-to-read e-book download format. On top of that, we are also offering free download copies of Gaia’s Education’s brilliant Four Key series, including the indispensable instruction manual for anyone looking to apply permaculture techniques to communities, Beyond You & Me, and Gaian Economics – a penetrating look at how economics can be made to work in harmony with nature, not against it. 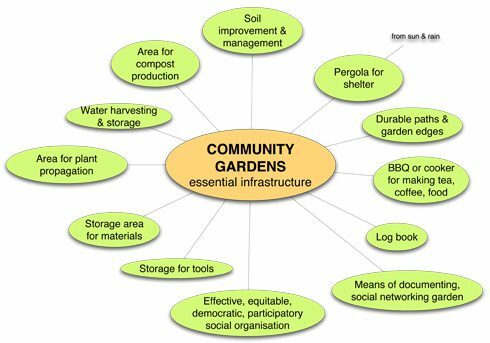 “THERE IS A COMMON SET OF DESIGN ELEMENTS that make the experience of community gardening an enjoyable one. “Jill Cloutier is an environmental educator, freelance writer, and videographer. Jill has been producing Sustainable World Radio since 2004. After surviving her early 20’s, as a militant vegan, (“How could you eat that!? ), and a “Voice of Doom”, (“Lester Brown says that we have 8 years left.”), Jill realized that it was much more fun to educate through laughter and positive energy than through guilt, fear, and gloom.